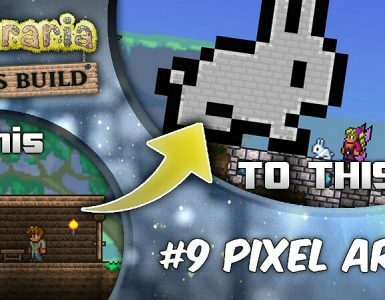 A basic guide that shows you what potions are and how you can craft them! An Alchemy Station is a crafting station that is primarily used to craft potions. In order to create an Alchemy Station, you will need to place a Bottle, Mug or Pink Vase on top of a Wooden Table, Work Bench, Dresser, Tinkerer’s Workshop, or Wood Platform. If an Alchemy station is created using a Work Bench, then it will function as both types of crafting station. 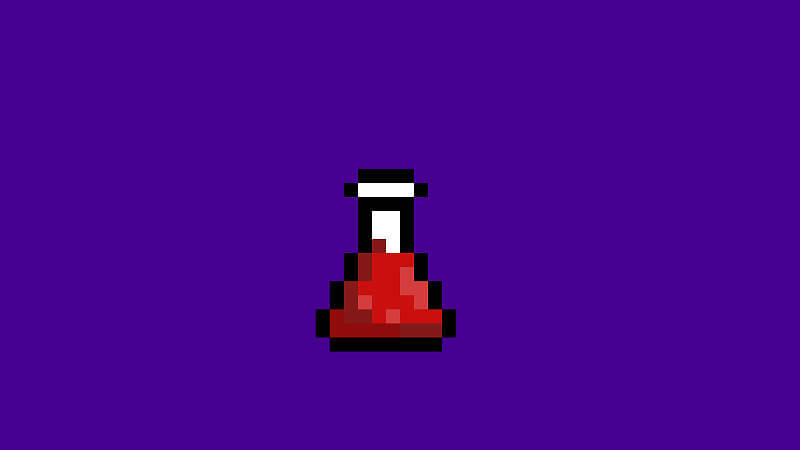 The Lesser Healing Potion is a potion that can be crafted, found in Pots, Chests, dropped by Bosses, or as a background item in the Dungeon. 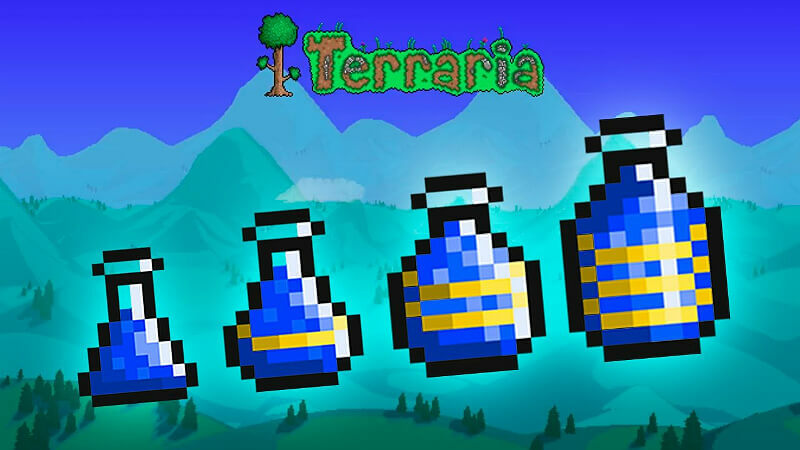 They can be crafted into healing potions using two lesser healing potions and a Glowing Mushroom. They can also be purchased from the Merchant. Healing Potions are potion that can be crafted, found in Pots and Chests. If you are at full health, and you use a healing potion, it will have no effect. 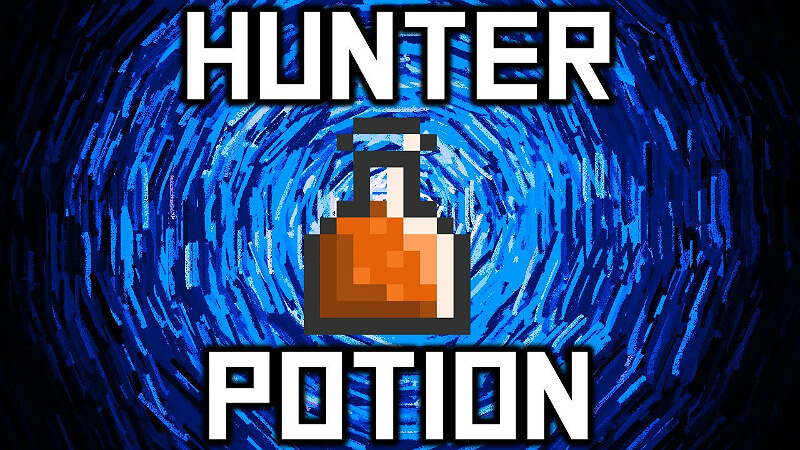 The Greater Healing Potion is a restorative item dropped by Hard Mode bosses, after the Wall of Flesh has been defeated. The Lesser Mana Potion is a part of the Mana Potions family. It is the weakest, restoring only 50 Mana when used. If the player’s maximum Mana is zero, this Potion will have no effect. The Mana Potion is a part of the mana potions family. It restores up to 100 mana when used. If the player has full mana or their maximum mana is 0, the potion will have no effect. The Greater Mana Potion is a mana potion that restores 200 mana when used. The Greater Mana Potion cannot be crafted, it instead may only be purchased from the Wizard. The Lesser Restoration Potion is crafted with 1 Lesser Healing Potion and 1 Lesser Mana Potion. Upon usage, it restores 50 points of health and 50 points of mana, making you able to restore stats more efficiently. Effect: Restores 50 Mana and 50 Health. The Restoration Potion is a potion that restores Health and Mana by 100. It can be crafted at an Alchemy Station with one Healing Potion and one Mana Potion. Effect: Restores 100 Health and 100 Mana. 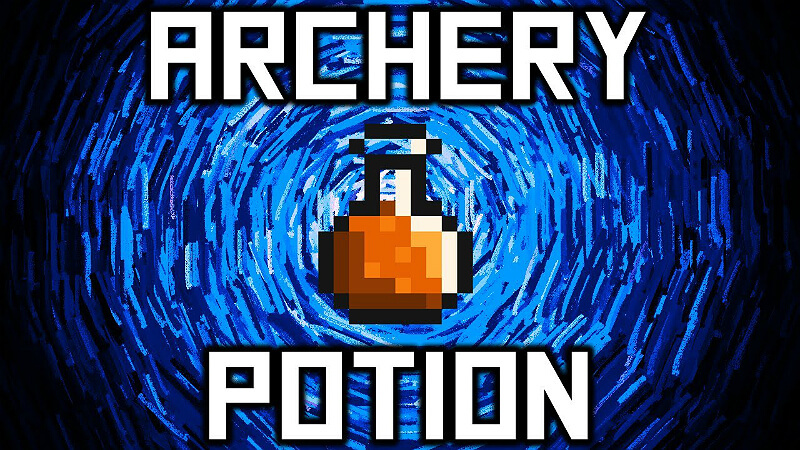 The Archery Potion increases Arrow speed and Damage by 20%. Effect: 20% increased Arrow speed and damage. The Battle Potion raises the spawn rate of monsters by 50% and the max enemy cap by 100%. Battle Potions can be found in Pots and Chests. Effect: Increase enemy spawn rate. 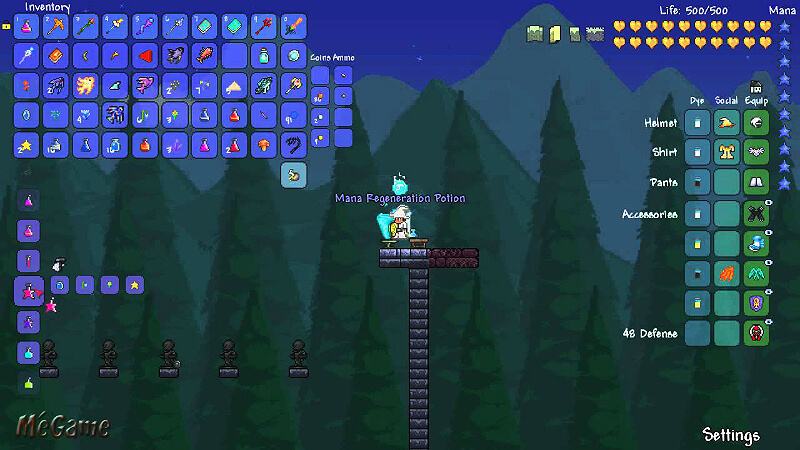 The Featherfall Potion limits gravity’s effect on the player for 5 minutes, slowing their fall and allowing him/her to jump higher than normal. The player can hold the down key (S by default) to fall like normal in case of a rush, or up (W by default) to slow their fall even further or increase their jump height by up to 3 times. 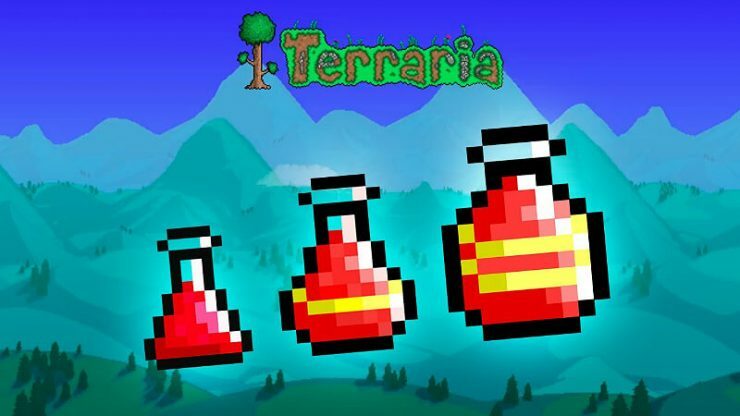 Combined with movement accessories such as the Rocket Boots/Spectre Boots and Cloud in a Bottle/Cloud in a Balloon, this potion offers you a great deal of control, essentially allowing you to fly unhindered. The potion also negates all Fall Damage when active, which makes it extremely useful if you don’t have another means to prevent it. The Gills Potion grant the player the ability to breathe Water instead of air for two minutes. The Gravitation Potion allows the player to invert the effect of gravity on the player. The effect is player-controlled and can be toggled while in the air, surpassing the Demon Wings or Angel Wings as the most effective way of air travel currently available. The effect can be toggled by pressing the up key (default is “W”) to invert gravity and the down key (default is “S”) to restore normal gravity. It has several very helpful uses, such as getting out of water, as it is the only current way to effectively “float”. Another is a very effective usage is as a method of locating Floating Islands, as it allows you to essentially fly. 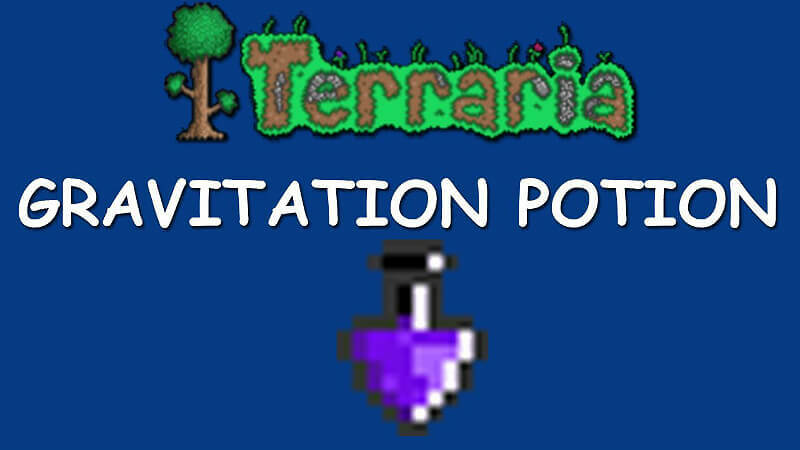 Gravitation potions can be found in Pots or Chests underground. They can also be crafted using one Bottled Water, one Fireblossom, one Deathweed, one Blinkroot, and one Feather. You must be near an Alchemy Station to craft it. Effect: Allows the control of gravity. The Hunter Potion shows the location of enemies, NPC’s and creatures on your screen by highlighting them and making them glow with a green tint. As well as having quite a strong glow, light particle effects will periodically emit from whichever enemy you can see, lighting up their surrounding area slightly. Effect: Shows the location of enemies. The Invisibility Potion turns the player invisible for 2 minutes, although equipped armor remains visible. The Invisibility Potion does not make you invisible to monsters which makes it useless in solo play. 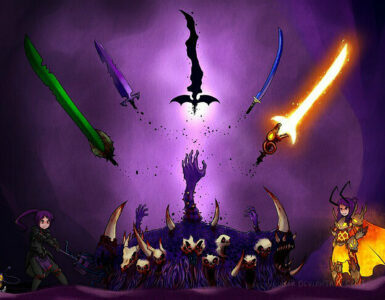 This makes its sole use to be in PvP servers to avoid other players, however, the potion is banned on most PvP servers. 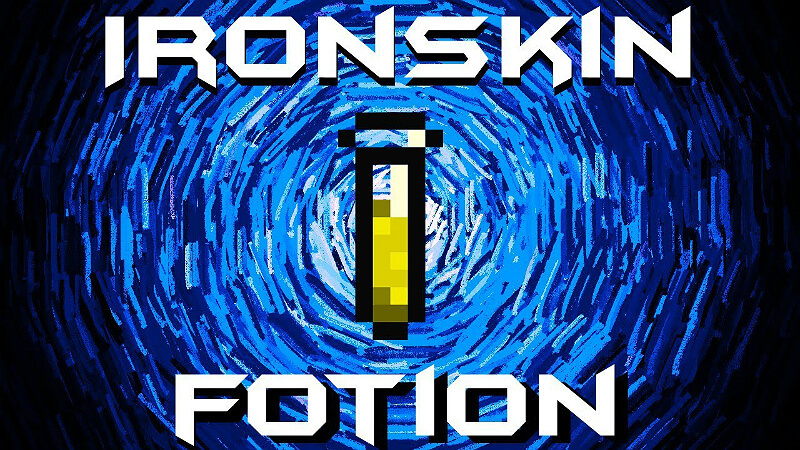 The Ironskin Potion increases defense by 8 for 5 minutes. 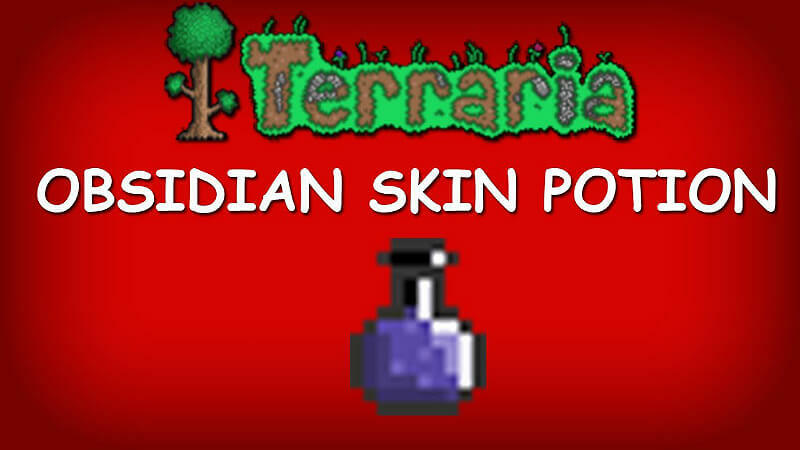 This is one of the most useful potions in the game since it gives a high amount of defense and is very easy to craft. It is most helpful when used in a boss fight or while exploring Dungeons. Effect: Increase defense by 8. 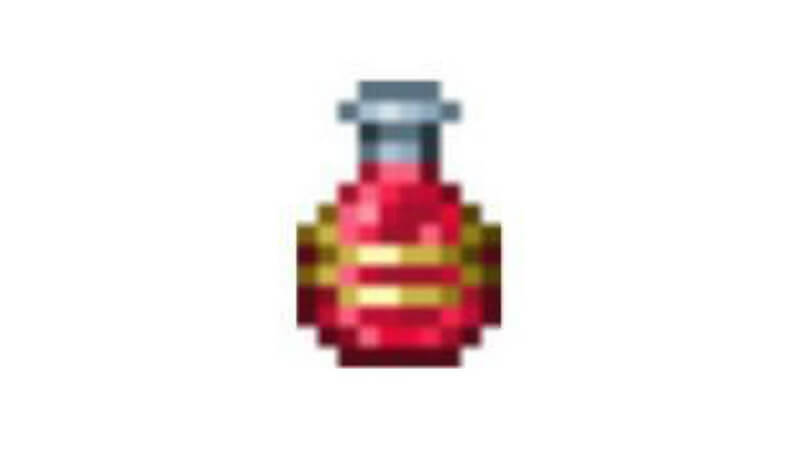 The Magic Power Potion gives the Magic Power buff when consumed, which increases magic damage by 20%. The effect lasts for two minutes, and stacks with the Clairvoyance buff. Effect: 20% increased magic damage. The Mana Regeneration potion increases the speed at which your Mana regenerates. This effect lasts 2 minutes. 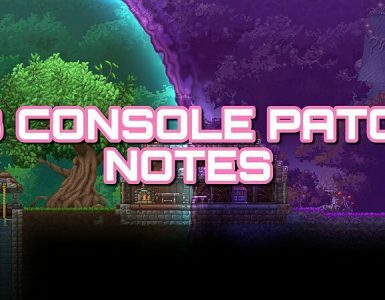 The Night Owl Potion improves the player’s night vision for 4 minutes. The Night’s Owl Potion is helpful if you don’t have a Mining Helmet or Orb of Light to light your way as it increases the range of the light from your torches, although it works well in combination with any source of light, especially when exploring unknown caves or dungeons. Effect: Provides immunity to lava. 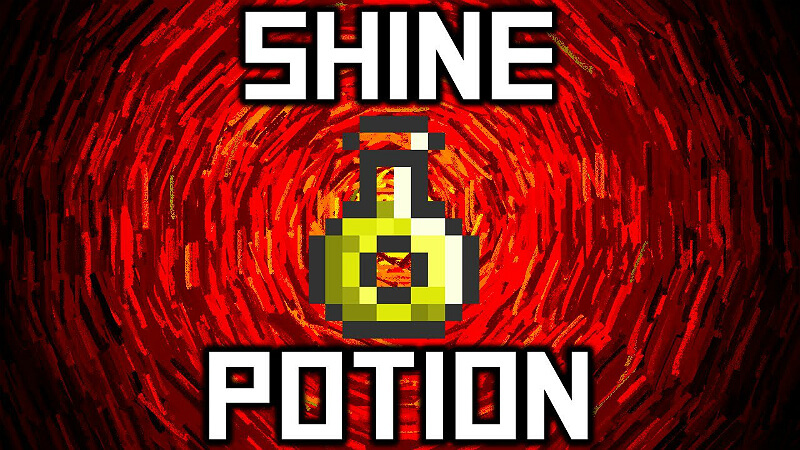 The Regeneration Potion is a potion that increases the player’s health regeneration by one HP per second, which continues for five minutes. A total of 300 HP can be gained with this potion. The effect stacks with both the Band of Regeneration and the player’s natural out-of-combat regeneration. The Shine Potion makes your character glow for 5 minutes, which is useful for exploring caves underground, or even if you just want some light during the night. It loses some of its usefulness when you obtain the Orb of Light, as the materials needed to make the potion could be used for more useful potions. However, unlike the Orb of Light, it follows the player without lagging behind, and is much brighter. Effect: Emit an aura of light. The Spelunker Potion gives a slight purple glow to all nearby ore, chests, pots, Crystal Hearts, gemstones, and alchemical plants (such as Blinkroot and Daybloom). When you take the potion, you receive a “Spelunker” buff that has a duration of 5 minutes. Effect: Shows the location of treasure and ore. 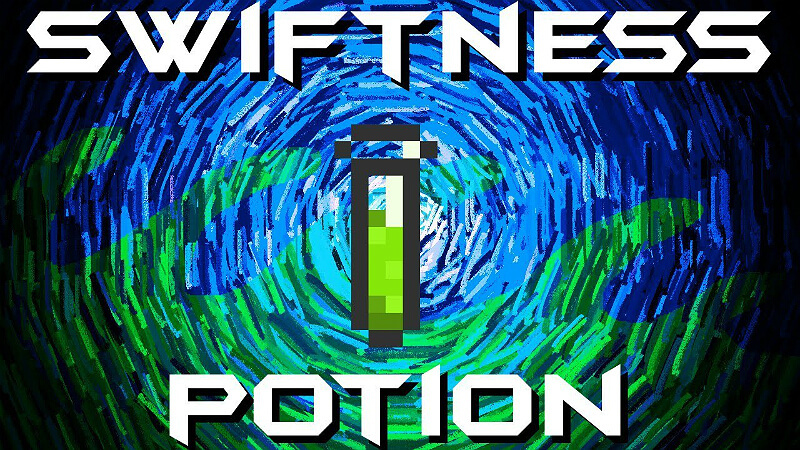 The Swiftness Potion is a Potion that increases a player’s movement speed by 25%. The effect does not stack with the Hermes Boots. Effect: 25% increased movement speed. The Thorns Potion is a potion which give the player the buff “Thorns”. This buff lasts two minutes and causes attackers to take damage equal to half of the damage they dealt. Effect: Attackers also take damage. 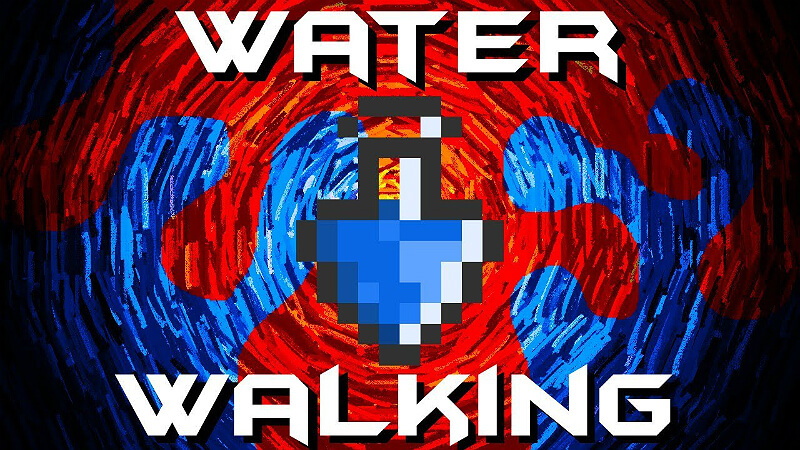 The Water Walking Potion allows the player to walk on water and lava for 5 minutes. The player can sink into the water by pressing down. 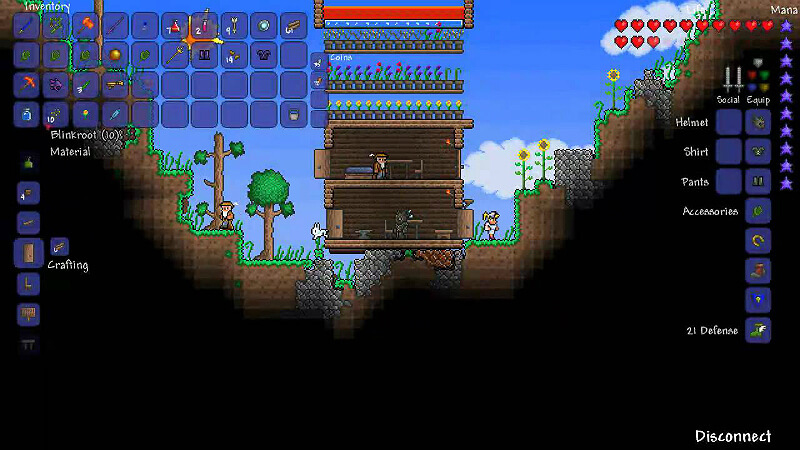 There is glitch that causes the player to partially sink, allowing you to take damage from lava. Despite the description, players are also able to walk on lava without damage and without the need for the Obsidian Skin Potion. A small farm what i use with friends, works good and very easy to build! Flower pots, a chest and a Alchemy Station.